California just made a big move for marijuana legalization. Long considered ahead of the curve on cannabis trends, the state was a bit behind on the recreational weed front. That all of course changed this year when recreational cannabis sales became legal in California on January 1st. 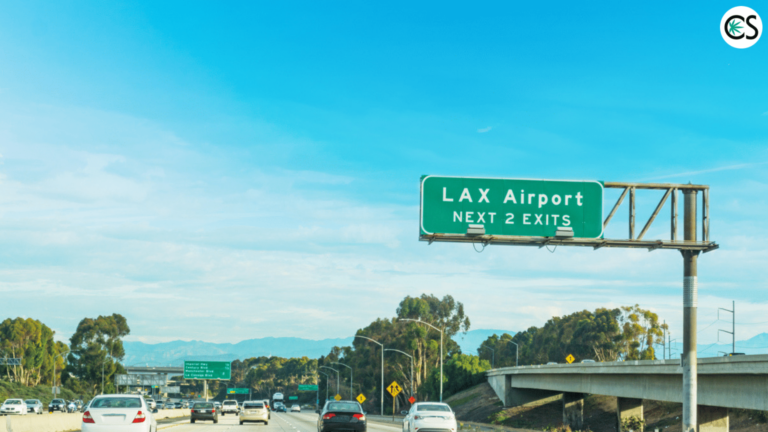 Recreational sales are in full swing in the Golden State, and earlier this week Los Angeles International Airport (LAX) announced it will now allow passengers to travel through the airport with up to one-ounce of marijuana. Yeah — you heard that right: You can fly out of Los Angeles and take your beloved sour diesel or blueberry haze with you. If you’re traveling in California and flying back home out of LAX and want to take your cannabis goods with, go right ahead. As long as passengers aren’t packing over the legal limit into their checked luggage or carry-on, it’s now 100% permitted to fly out of LAX with. Does TSA just turn an eye to any weed they might find at LAX now? Not exactly. If they see a bag of weed that looks like it might be more than the permissible ounce of flower or 8 grams of concentrate, you can still very well be taken out of line in security while the cops are called to weigh your stash. Seeing that it’s now legal to fly out of LAX with up to one-ounce of cannabis flower or 8 grams of cannabis concentrates, law enforcement can’t do much if you stick to the legal limit. Whether or not you’re flying into a recreationally-friendly state is another story. Rolling into Denver from LA? Cool. Landing in Dallas? Maybe not so cool. It’s entirely your responsibility to know the cannabis laws for where you’re landing. That being said, the law enforcement at your destination airport aren’t likely to pay any more attention to you just because you flew in from LAX and they “think” you might be carrying weed. Countless people fly all over the world out of Los Angeles every single day. What happens when you get to your destination is apt to be just as it is every other time you fly in. Grab your carry-on and go or wait in baggage claim for your checked bags and head on home.